The Third Commemorative Lecture of Tokyo Section entitled "Preserving, Explaining, and Making Known the History of Technology: An Update on IEEE's Initiatives" was held in the Glass Building of the Tokyo International Forum on Tuesday, August 24, at 3:00 p.m. by John VARDALAS, Ph.D, the Outreach Historian at the IEEE History Center. He talked about the central role of engineering in the history of human development and presented the IEEE History Center's activities. He also gave a demonstration of the IEEE Global History Network Network (GHN), which he recently led the team to develop. In the latter part of the lecture, IEEE Fellow Dr. Eiichi Ohno, from the IEEE History Committee, joined with Dr. Vardalas to answer questions regarding applying to IEEE Milestone online using GHN. 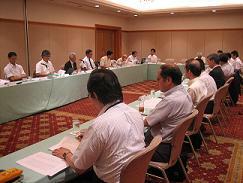 The 2010 Third Meeting of of Tokyo Section Executive Committee was held on Thursday, September 9, from 3:00 p.m. at Akihabara Dai Building, Tokyo. 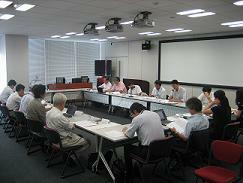 The 2010 First Meeting of Japan Council Chapter Operations Committee was held on Thursday, June 3, from 3:00 p.m. at Josui Kaikan. 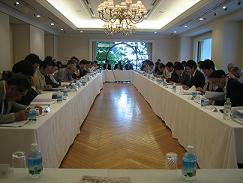 The 2010 Second Meeting of Japan Council Executive Committee was held on Tuesday, July 27, from 2:00 p.m. at Hotel Metropolitan Nagano. 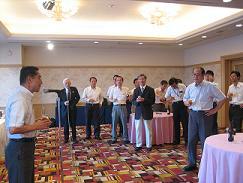 After the Executive Committee, a buffet party was held at the same location. 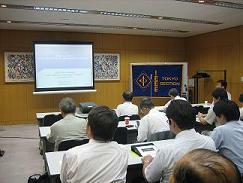 Two members in Japan received 2011 IEEE Technical Field Awards on July 1st, 2010.